The seventh and final edition of Kinder- und Hausm�rchen of the Brothers Grimm contains 210 tales, among them favorites such as �Schneewittchen� (�Snow White�), �Aschenputtel� (�Cinderella�), and �H�nsel und Gretel.� But the Grimm collection also includes �Die Bienenk�nigin� (�The Queen Bee�), �Die drei M�nnlein im Walde� (�The Three Little Men in the Woods�), and �Die Nixe im Teich� (�The Nixie of the Pond�) — the first three of the sixteen fascinating tales of Unbekannt und Unbeachtet: German Fairy Tales You May Have Missed. You will be surprised how different these sixteen tales are from those you already know — and how different they are from each other. If you already know German well, these tales will be a fun adventure for you. 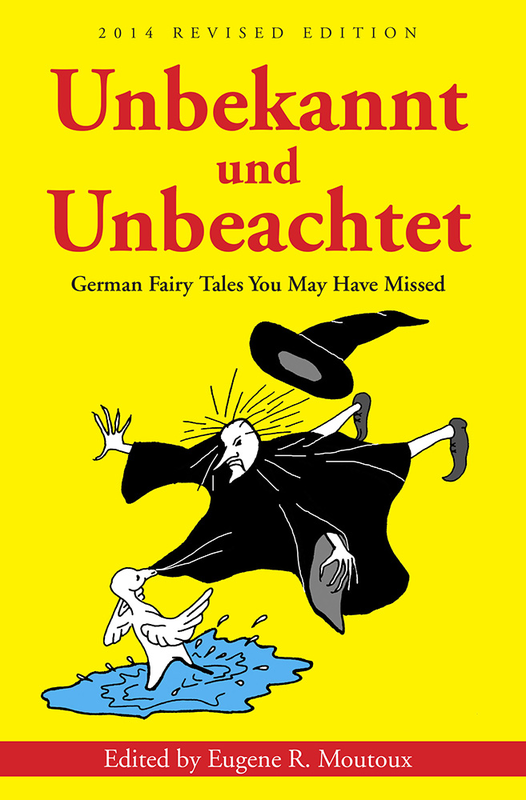 If you are learning German and already have, say, 500 words under your belt along with basic grammar, the tales are perfect for you. In the vast field of German literature, the fairy tales of the Brothers Grimm rank among the least difficult, with respect both to vocabulary and to grammar. In this book, reading is facilitated by vocabulary blocks and footnotes. A glossary at the end of the book will minimize, if not eliminate, the need for a dictionary. The book�s editor, Gene Moutoux, taught German at four universities and three high schools during a teaching career that spanned some forty years. He has written books on the German language, Latin derivatives, and sentence diagramming and maintains a large website that includes, among other things, a German course, Latin derivatives, and sentence diagrams. You can visit Gene�s website at www.german-latin-english.com. Gene lives in New Albany, Indiana, just across the Ohio River from Louisville, Kentucky, with his companion, Phyllis Taylor. He is the father of three children and the grandfather of seven. He has a Ph.D. in German from the University of California at Santa Barbara.